We did it. We took a 5 day trip without our kids. We rode our Harley's from Orange County CA, to Utah through The Mighty 5 National Parks. 1886 miles in 5 days. An incredible experience to say the least. I hope you enjoy reading our experience as much as we enjoyed living it. I expected it to be beautiful in Utah, and I'll just say this, it so surpassed my expections. We left our home in Mission Viejo at 6AM, and the worst part of long trips are usually the first day and the last day, because it is just straight highway driving trying to get to the destination. So basically the 15 fwy is just straight and very fast especially once you get to Nevada. But we can't go up the 15 fwy to Vegas without stopping at the Mad Greek in Baker. it's been a 30 year tradition of stopping and getting a fantastic Gyro. Today we weren't just going to Vegas, we had about another 5 hours to go until La Verken, UT the gateway of Zion National Park. After a quick drop our bags at the hotel, we hopped back on the bikes and took the 20 mile trek up to the gates of Zion. The Gates of Zion take you through Springdale, which has adorable shops, good restaurants and positive vibes. 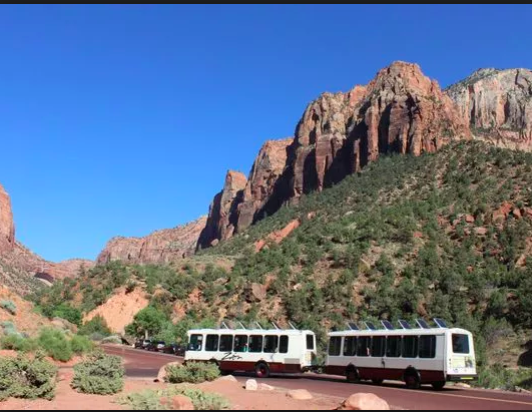 Plenty of small business to support while coming in and out of Zion that will meet all of your needs. You can't drive through Zion and make stops like other national parks, but the Tram system will take you to all points of interest and hikes and walks that you could desire. 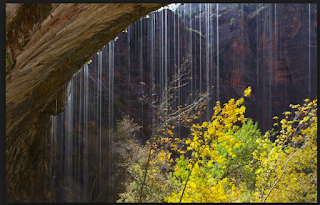 We were able to conquer the Weeping Wall and The Narrows. We got to the park at 4 and it closed at 10, we were able to do about 5 miles of hikes and all 9 stops on the tram system. It really was a beautiful park, with may different terrains and plant life. There were hikes for all abilities, many were wheelchair accessible, and some were not. So plan accordingly. Wear comfortable shoes and bring a bottle for water, there are refill stations available. We at at Porters Smokehouse and Grill on Zion Blvd. I'm writing this after our trip, it was one of the best restaurants we ate at. My husband had the bbq Sampler that had meat for days, the food was delish to say the least, the service was impeccable and relaxed, and the views were great. WITHOUT A HELMET - there are no helmet laws in Utah, so I tried it out with no helmet. While liberating, it was loud, so I'll stick to my helmet. Can't wait to tell you all about Day 2.